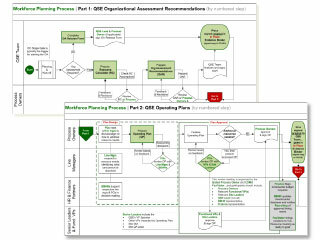 When one of the world’s leading consumer healthcare companies underwent a consent decree due to quality issues within its supply chain, Gus Prestera worked with its senior leaders within manufacturing, technical operations, and quality as well as various regulatory compliance organizations and hundreds of external quality consultants to implement an organizational assessment process. He advised dozens of quality teams and their HR business partners at multiple sites as they learned and used his process and tools to define the future state organization in terms of competencies, resource capacity, headcount, and organizational structure. Through this work, they established a sustainable supply chain organization and laid the groundwork for competency-based hiring and training. Senior leadership at a division within a mid-sized pharmaceutical company became aware of morale and turnover issues in the wake of a major re-structuring. They wanted to conduct an engagement survey to find out the extent of the issues and gain insight into how best to address them, but they wanted it to be something quick and compact, not a lengthy process with cumbersome surveys and reports. 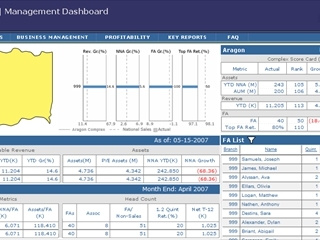 We customized a streamlined survey for them and designed a compact report that was organized in layers, enabling them to start with a high-level dashboard, then drill down as needed. We also provided recommendations for how to address the gaps uncovered by the survey. The CEO brought in to effect a turn-around of a global manufacturer recognized the need to change not only its business strategy but also its organizational culture. Building on the new core values and core competencies that the Executive Committee established, we designed a change implementation process and built a variety of change communication pieces to support it. 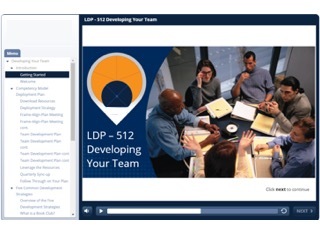 We produced online courses to teach people how to live into the values and managers how to promote change adoption; facilitated a leader workshop to kick things off; and facilitated quarterly sync-up calls to keep the conversation going. In support of a CEO who was looking to drive a cultural transformation, we designed and facilitated a series of workshops with his Executive Committee and the extended leadership team. All of the workshops included elements of team building as well as hands-on activities to help them learn new ways of collaborating and implementing their business strategy. These workshops were coupled with one-on-one executive coaching, change management initiatives, and specific performance improvement interventions, so that the workshops were “plugged into” and complementary to the broader transformation efforts, amplifying their effects. Working with HR business partners at a regional healthcare system, we implemented a talent review and success planning process that incorporated our Three Kingdoms model. We trained these HR professionals on the process and on best practices for facilitating the process with the business leaders they supported and prompting the right conversations to take place between leaders and their employees. We then coached the HR team as they implemented the process within their respective client organizations. Their adoption of the process led to improvements in accountability, employee engagement, performance, and professional development. In support of a company-wide cultural transformation, we develop a change plan and built a variety of communication and pull-through tools. Communications included videos from the leadership team, talking about what the change meant for them personally, as well as posters, signage, and other communication pieces. 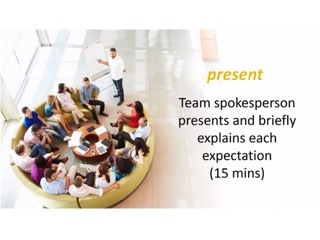 Pull-through tools included a manager playbook, giving leaders a step-by-step guide for how to facilitate change conversations with their teams. 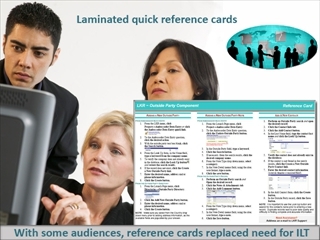 We also created resource lists, containing links to books, articles, videos, and other elements that managers could use in their team discussions. A global financial services company needed to improve its branch management bench strength and was looking to develop a leadership pipeline. Rather than putting all management candidates through a leadership development program, and thereby diluting its investment, the firm wanted to screen the top candidates and only admit the top prospects into the program, then invest intensely in those individuals. The firm asked our team to help them design the screening process. 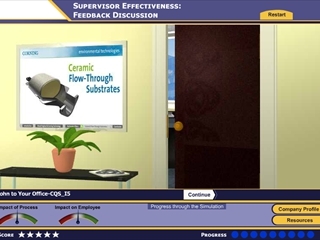 If invited to attend the Management Assessment Center, candidates went through a 1½ day live simulation, involving real-world activities that mapped back to the competency model, and afterwards were given feedback by visiting managers and psychometricians. As the healthcare marketplace and regulatory environment continue to shift dramatically, this regional hospital system also faced a looming leadership vacuum. Many of its leaders were approaching retirement and there were few internal candidates ready to step into those roles. Gus Prestera and his team were hired to implement a process for reviewing the existing leadership talent, identifying development opportunities, and putting development plans in place. As leaders engaged in the process and used the tools, they slowly began to develop a culture of development, where leaders and their employees are continually engaged in conversations around their current competencies and those needed to achieve their career goals. 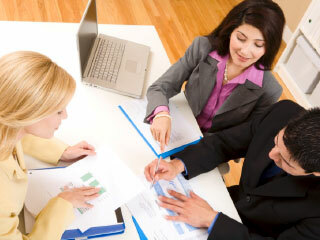 To help a pharmaceutical company improve the capabilities of its sales managers, we conducted a 360-degree assessment, surveying the participants, their managers, colleagues, and sales reps. Each participant received a comprehensive report that highlighted strengths and development opportunities. 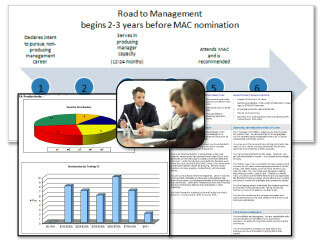 Their managers received a roll-up report as well as coaching on how to debrief the findings with their sales managers. From those debriefing conversations, the sales managers created individual development plans, which their managers help them implement. 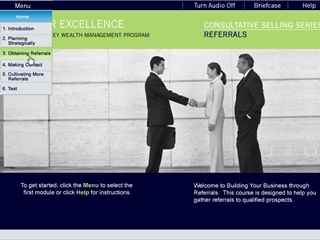 Sales manager engagement and performance improved. 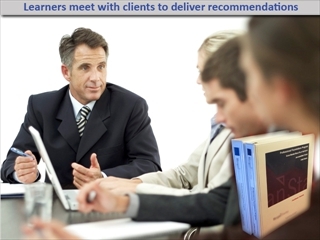 To help a CEO develop his direct reports and their successors, we implemented a tailored executive coaching program. First we conducted 360-degree interviews, talking confidentially with participants, their manager, and a sampling of colleagues and direct reports. Each participant then received a report summarizing the findings and representative interview quotes. Our coaches worked with each participant to debrief the report, prioritize development opportunities, and construct an individual development plan. Once the plan was in place, our coaches followed up with those executives to support implementation. 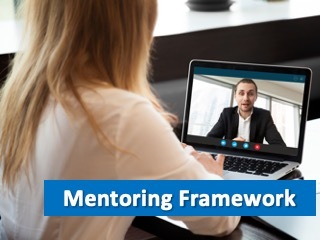 We helped a global financial services company expand leadership development by establishing a framework, tools, and training for one-on-one mentoring. Mentoring can take many forms, for example: informal vs. formal, individual vs. group, and standard vs. reverse mentoring. We architected a flexible framework that allows for the many variations mentoring can take. 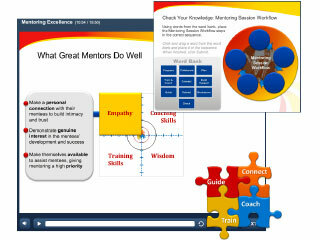 We then created tools to support the mentoring process, such as job aids and evaluations. Would-be mentors and mentees attend workshops or webinars that we designed to teach them the skills and best practices that best predict mentoring success. 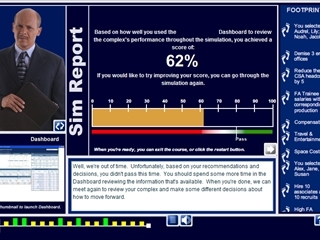 Leadership decision-making simulations can be costly and time-consuming to build. 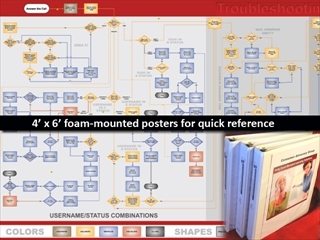 These examples come from two Flash-based branching sims that were built within a couple of months. 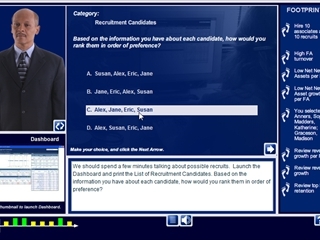 The learner is asked questions by his/her District Manager; accesses a management dashboard system (we built a mock system for training purposes); then makes decisions and receives feedback from the boss. It got great reviews from a tough crowd! 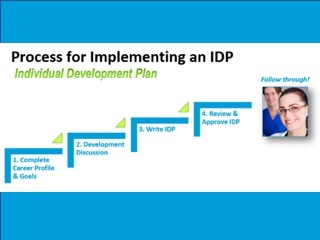 For several of our clients, we have implemented processes, tools, and training to empower employees to take ownership of their professional development. Our Self Development Cycle is a process that starts with reflection on future aspirations, past experiences, and feedback. We provide guiding questions, sometimes in the form of job aids or worksheets and other times in the form of online surveys. Then we teach employees how to turn those insights into a set of goals and a plan of action. We also teach them how to leverage their network to create a personal board of directors, how to access expertise, and how to get the most learning out of any experience. 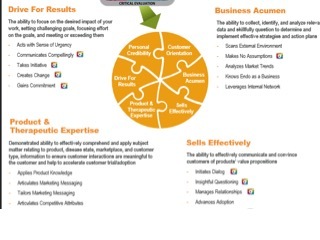 A national specialty sales training department for a large biopharmaceutical company was challenged by its stakeholders to develop a structured onboarding process that improved consistency and time-to-proficiency, while leveraging an online curriculum and peer mentoring. Prestera FX was asked to develop the mentoring framework, onboarding materials for new hires and their peer mentors, as well as training for those peer mentors. 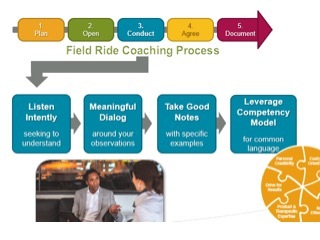 We established a mentoring competency model by benchmarking key success factors for mentors, then used that model as the basis for the onboarding materials and training. 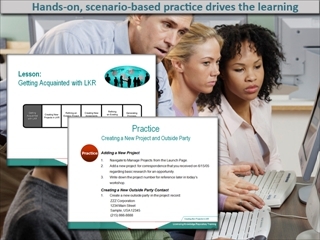 The process, tools, and best practices were implemented through an elearning module and in-person workshop. 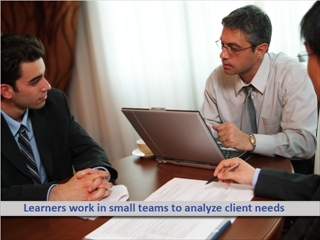 We helped a large insurance company implement a mentoring circles program globally. Through the program, peers from different management levels come together in groups of 8-10 to form groups that meet regularly in person or virtually to discuss career development and leadership development topics of their choosing. Though the groups are chaired by senior leaders, each circle’s participants act as peer mentors, helping each other learn, develop, and achieve shared goals. Our team designed the training materials to support the formation and kickoff of these circles and provided tools to support the process. 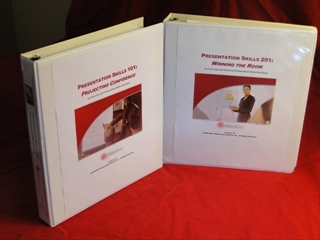 Several pharmaceutical clients have asked us to help them turn sales representatives into field trainers. Our programs can help sales managers identify reps with high potential to be strong field trainers, using our Mentor Readiness Survey. Those selected go through online and classroom training to help them learn the skills needed to deliver training, mentor peers, support new hire onboarding, coach struggling colleagues. 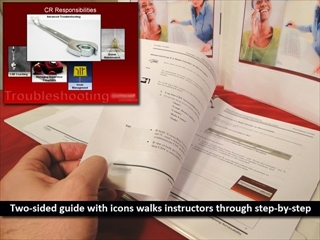 The training is often complemented with field trainer guides that provide structured activities and tools for trainers to use with their colleagues. A global chemical manufacturer intended to build a corporate university that organized and mapped training content to a variety of job-specific competencies. Gus Prestera conducted interviews and focus groups with chemists, engineers, sales professionals, and their managers in order to develop competency models for various job families. 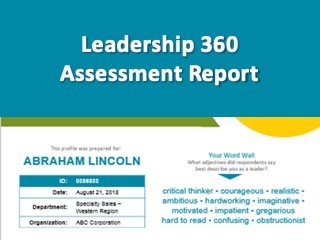 The competency maps gave insight into the key tasks and activities associated with each position; how much relative time was spent on each; which were considered most important to the organization’s success; and which were the most difficult to master. We inventoried and evaluated existing courses; identified gaps in the library relative to the competencies; and organized the library into competency-based curricula. 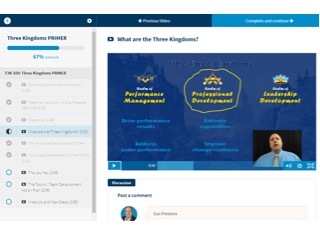 We tailored our Three Kingdoms Program to a professional services leadership team to help them initiate conversations with their employees around professional development. 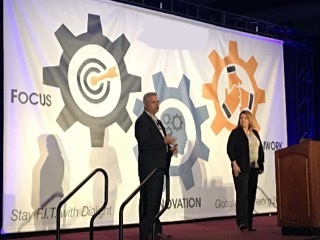 The program included a process and tools for conducting a team assessment, identifying and prioritizing development needs, and creating a team-based development plan. We also trained managers on how to conduct the actual conversations with their employees, using demonstrations and role play activities. As managers started engaging their employees, we monitored their progress and coached them until they were comfortable with the process. Employee morale and engagement improved. 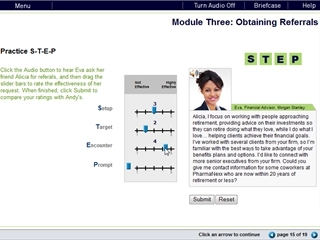 A global insurance company brought in Prestera FX to develop a series of elearning modules to train over 60,000 employees and managers worldwide on its performance management system, which included modules on preparing self-assessment, conducting year-end reviews, and conducting calibrations. 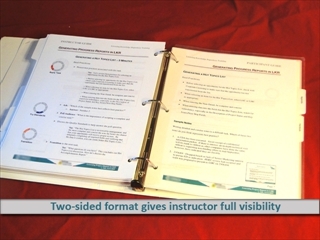 These courses were translated by a trusted vendor-partner into several different languages before being deployed to the company’s learning management system. 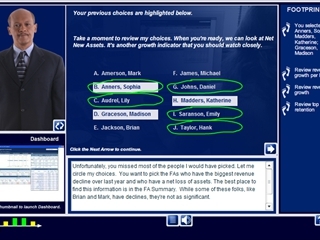 This branching simulation was built leveraging green-screen, still photography in combination with 3-D backgrounds, which helped control costs while still providing the learner a rich visual environment. A big factor in performance is hiring the right people for the right roles. 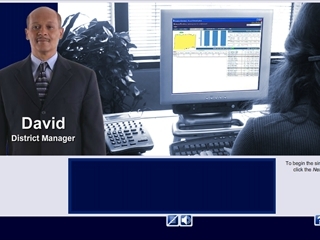 A pharmaceutical client wanted to improve and standardize their hiring process for sales representatives. After helping them define what good looks like and turning those insights into a sales rep competency model, we helped them develop an interviewing and selection toolkit for hiring managers. Interviewers were given a bank of sample questions that were organized around the various competencies and sub-competencies. 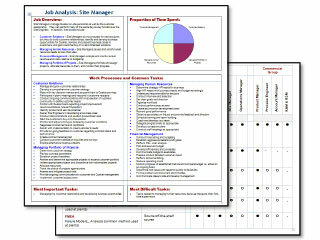 The interview evaluation tool itself was also re-designed around the competencies. Implementation led to more consistent hiring and the selection of more high-performing sales reps. There is no better way for a manager to coach performance than to observe it firsthand and provide immediate feedback in the course of a conversation. With that in mind, we helped a sales organization create a process, documentation, and training for sales managers conducting field rides with their reps. 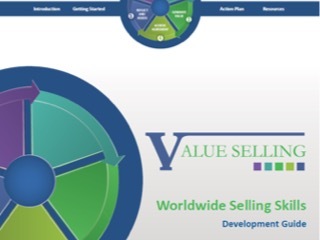 Though we did not build the app for it, we did help design the app and ensure that it incorporated the sales competency model that we had developed. Managers used the app to capture ratings and comments discussed during the field ride. When managers provide performance feedback, it is not always clear what the employee can do to improve in that aspect of their job. For one global client, we helped develop a coaching guide for managers, containing not only criteria for how to assess performance but also developmental ideas that the manager could support. 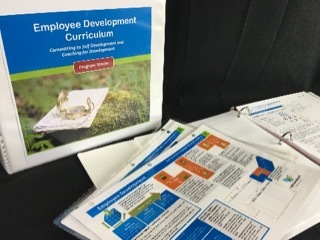 Our work culminated in an interactive PDF that enabled managers to move around the competencies and development ideas, then document an action plan. It was translated into several languages and rolled out globally. 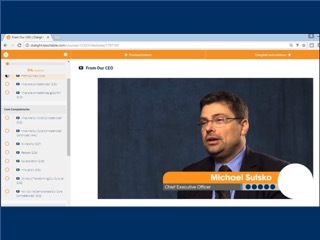 We designed and developed a series of video-based online courses (hosted by us) plus a live workshop to train managers of a global manufacturer how to coach and develop their employees for performance. The process and tools were infused with the company’s core competencies and values. 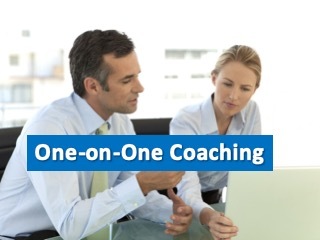 As managers implemented what they learned, we provided coaching and support. Employee engagement increased in most departments as managers began having a dialog with their employees around performance expectations, accountabilities, and performance outcomes. 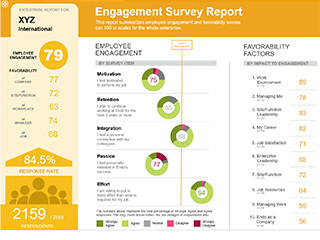 Both employee engagement and performance improved. 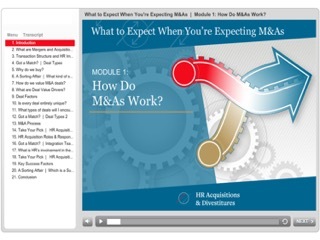 We designed and built a blended curriculum involving a series of elearning modules, online assessments, and an instructor-led workshop to train HR professionals worldwide on how to support their businesses through a merger or acquisition. 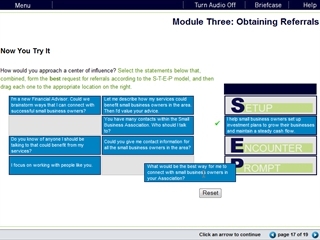 We flipped the training by putting all of the knowledge content into the self-paced elearning modules, which participants completed in advance of attending the workshop. After completing the modules and passing the online assessments, participants were eligible to attend the live workshop, where they engaged in hands-on practice activities, review games, case-based exercises, and group discussion. 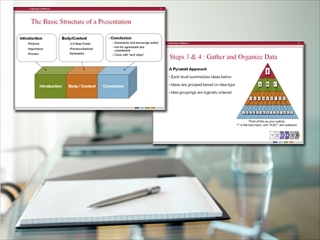 The first of this pair of workshops gives learners the confidence that comes with knowing the fundamentals of good presentations...from preparing materials, setting up the room, and organizing content to handling questions and managing discussion. Building on that confidence, the second workshop focuses on buidling and delivering a compelling presentation, one that persuades the audience. In both workshops, there is frequent, hands-on practice as well as a final activity that involves the learner presenting, then reviewing the video recording with the instructor, who provides feedback and coaching. 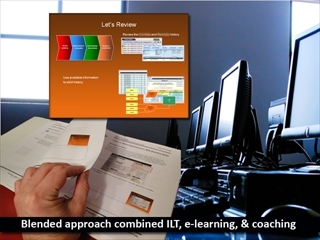 We designed and developed a blended curriculum (ILT, e-learning, coaching) that was organized around ability level. 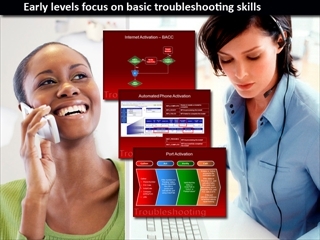 With new hires, we focused on basic troubleshooting processes and tools. 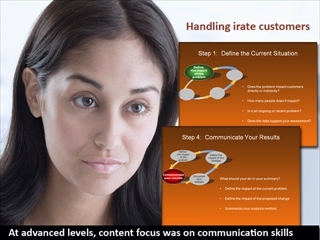 As they certified at each level and advanced, the training focused less on the technical troubleshooting aspects of the job and more on the inter-personal customer service skills, such as handling an irate customer. 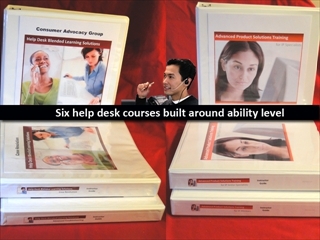 The highest level help desk personnel are taught how to mentor and coach the more junior personnel. When an organization builds or installs an enterprise system to support its key business process, the training cannot just focus on the keystrokes and mouse clicks. 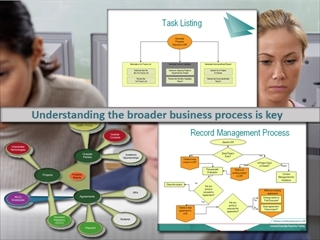 In this series of systems training courses, we articulated the business process and helped learners understand how the system fits into that process as well as how their role in the process drives business success downstream. 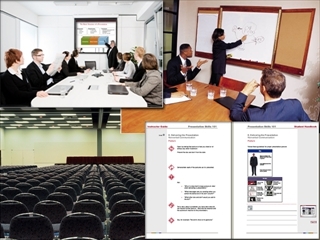 Because there are several audiences, with different levels and types of involvement with the process and system, we built several variations of the training to suit each audience's needs. With one audience, in fact, we scaled back the training to reference cards only, because of how they typically interact with the system. It’s not enough to build a competency model. In order for it to have an impact on the organization, people need to understand what good looks like in the context of their day-to-day jobs. 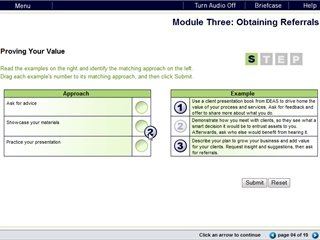 To help a global manufacturer gain adoption of their competency model, we developed a series of video-based elearning modules. 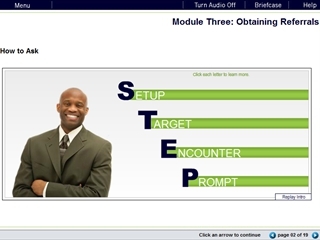 Each module contained videos explaining a competency in detail, discussing each success factor and describing what good looks like in the context of different day-to-day work situations. 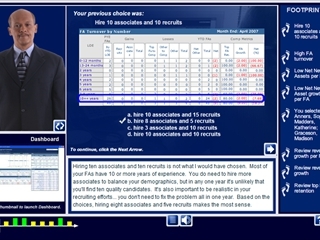 The modules also included video interviews conducted with senior leaders, where they explained what those success factors meant to them and provided real-world examples to demonstrate them. A global brokerage firm, with more than 10,000 Financial Advisors at the time, hired Gus Prestera and his team to redesign their new hire Financial Advisor program and address the problem that, despite investing millions into Associate hiring and onboarding, it yielded a poor return on investment. 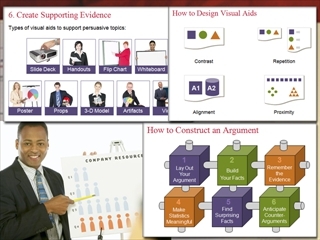 The previous onboarding program relied completely on classroom training; consisted mostly of knowledge dumps and death by PowerPoint; and took too long to complete. We were charged with redesigning the program to be more effective, more efficient, and less costly. 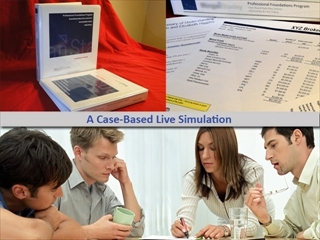 After mapping the competencies that distinguished successful Financial Advisors, we developed a skill certification process and a fully blended curriculum that combined elearning self-study, experiential learning, case studies, online and in-person simulations, peer mentoring, and coaching. We helped a manufacturer engineer a preboarding and onboarding process that could be applied and customized to different offices and plants around the globe. Preboarding involves many different departments and contributors, so it was important to get buy-in from a variety of stakeholders. 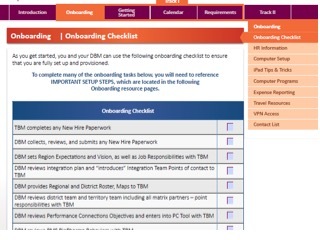 The onboarding experience itself was structured around a two-day orientation led by HR, followed by a three-month, self-paced new hire curriculum made up of online videos, elearning modules, and assessments as well as in-person meetings, manager coaching, and peer mentoring. 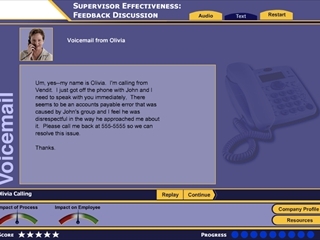 The experience was documented in an Onboarding Guide document given to all new hires. 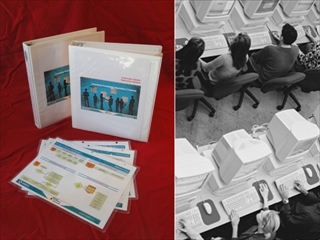 We designed and built a series of onboarding guides for new hire sales reps and managers from different product groups. 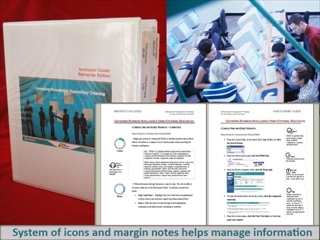 Each guide contained training calendars that were customized to each product group, org charts, contact information, links to online courses and resources, as well as answers to frequently asked questions. 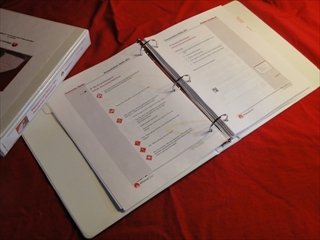 Sales managers had their own onboarding guide, linking to manager resources. New people managers face all of the usual onboarding challenges and in addition they also need to build rapport with their direct reports, establish commitments, and get the team moving. This is often a long, rocky road. 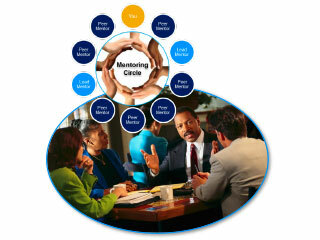 To accelerate this process, we help our clients facilitate assimilation meetings between new managers and their team. We have also developed training for HR business partners and business leaders to certify assimilation meeting facilitators. The process helps teams break the ice with their new manager, establish some commitments, and get moving in a new direction. Senior leaders generally have a unique set of onboarding needs. Because they are often taking charge of entire business units, large departments, or global functions, these executives are expected to start driving change and delivering results almost immediately. Though perhaps unfair, given that they are still trying to learn the basics of how the company operates, that high expectation is a reality. 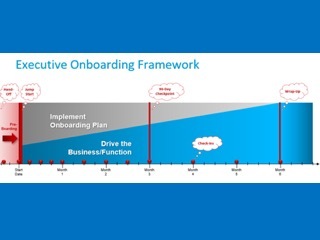 To help new executives from a global financial services firm achieve those early wins, we designed an executive onboarding process that integrates a 90-day action planning process into their onboarding workflow. 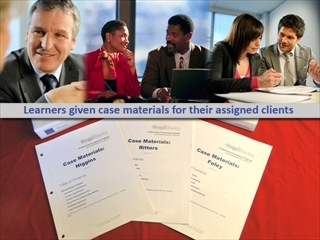 In this 1.5 day workshop, learners are assigned cases; they work in teams to analyze their case and the client's needs; they develop their recommendations; the next day, they deliver their recommendations to real clients--played by actors--who interact with them and ask questions. Afterward, they debrief, receiving feedback from the clients, their peers, and the moderator. The workshop developed the learners' analytical skills, inter-personal communications skills, and consultative selling skills. In addition, it helped learners get a concrete sense of what real-world battle conditions entailed, which raised their game as they went through other portions of the curriculum. Last Updated: July 9, 2018 © 2011-2018 Prestera FX, Inc. All Rights Reserved.